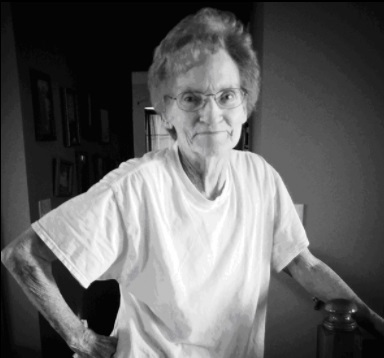 Dorothy Edith (Pahlman) Eft, 88, of Excelsior Springs, passed away Saturday, April 21, 2018, in her home. A graveside service will be held at 11:00 a.m. on Monday, April 30, 2018, at Green Lawn Cemetery at Park Lawn Funeral Home, 8251 Hillcrest Road, Kansas City, Missouri, 64138. Dorothy was born January 21, 1930 in Amoret, Missouri. She was the daughter of the late Holly F. Pahlman and Zula E. Collins. She married the late Robert E. Eft on April 4, 1952, in Kansas City, Missouri. She worked for AT&T as a switchboard operator and later as a contract clerk for the company for 30 years. Dorothy was talented in making quilts and sewing and loved animals of all kinds. Dorothy is survived by her granddaughters Brandi Eft Johnson (husband, Robert Johnson) of Independence, MO, Melissa Johnson of St. Louis, MO, one great-grandchild Jessica Johnson of Independence, MO and daughter-in-law Laura Prosser Eft of Excelsior Springs, MO. In addition to her parents and husband, Dorothy was preceded in death by her son, Carl Eft, her daughter Mary Johnson, son-in-law Randy Johnson and two sisters. In lieu of flowers, memorials may be made to the Kansas City Firefighters Widows Fund, P.O. Box 9866, Kansas City, MO 64134 or the American Cancer Society, P.O. Box 22718, Oklahoma City, OK 73123.